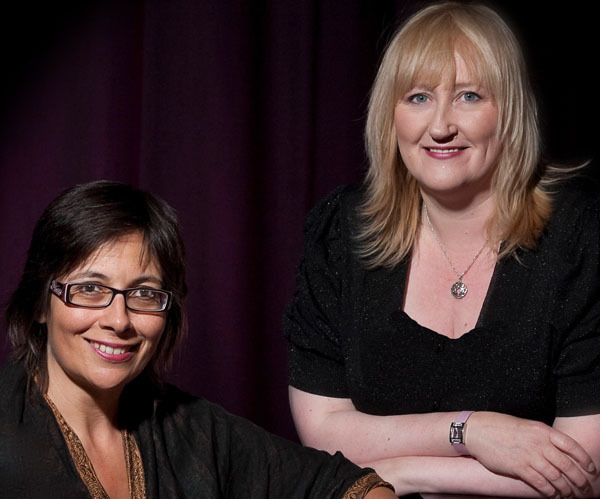 A musical duo consisting of voice and piano based in Scotland. With a sound that will transport you to the days of dimly lit drawing rooms, glasses of champagne and sparkling conversation. Their repertoire ranges from the twenties to the fifties as well as contemporary songs and encompasses such genres as Jazz, Blues, classical and Show Songs. A Fellow of the London College of Music as a singer and performer, Annette Chapman's voice has been described by Blues Matters Magazine as "nothing less than superb". Dot Allan's versatile piano skills have led to her playing with some well known names (Macy Gray, Lee Scratch Perry) both on TV and in several high profile festivals. Anything Goes will bring an air of sophistication to your event, conference, dinner party or wedding. Visit the Music page for samples of repertoire and the bookings page for details of how to engage the duo. Annette and Dot are happy to add your favourite songs to their repertoire and are happy to tailor their performance for your special event. You're the Cream in My Coffee. I'll String Along With You. You'll be so nice to come home to?